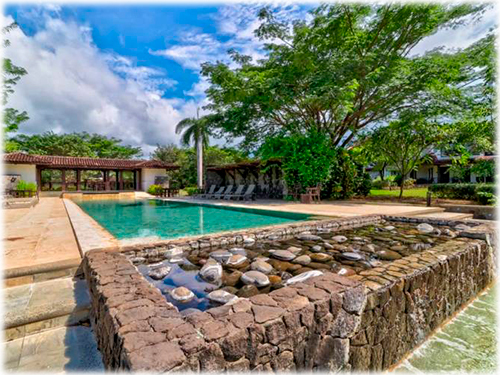 Hacienda Pinilla is an exclusive Beach and Golf Resort boasting over 4,500 acres of ranch property, located about 20 minutes away from Tamarindo, and offering 3 miles of pristine, turquoise water, white sanded beaches, multiple gated communities, a beachfront Beach Club with both Wellness and Fitness center, many dining options, riding stables, hiking and biking trails, tennis courts, Mike Trent's 18-hole Championship Golf Course, and much more. 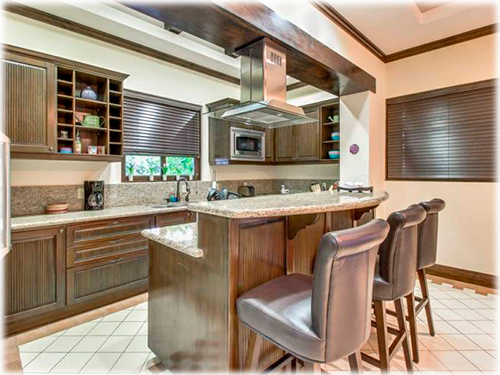 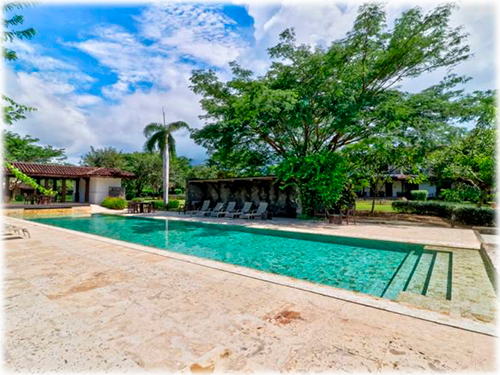 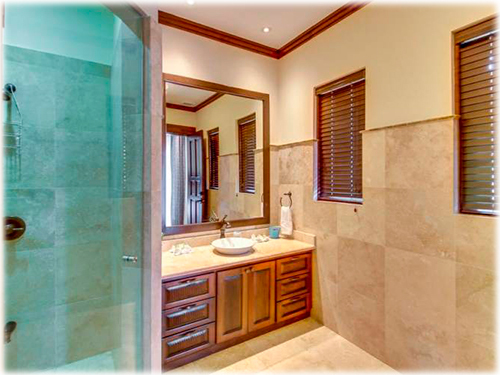 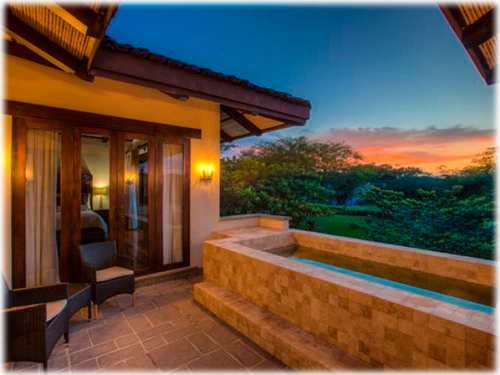 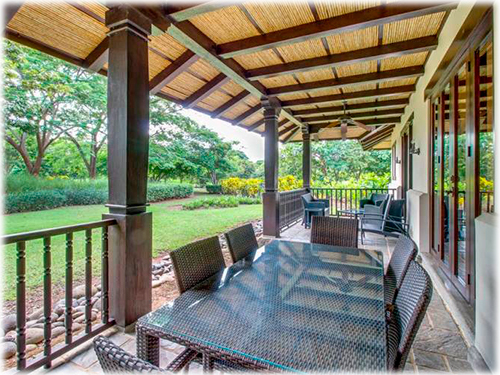 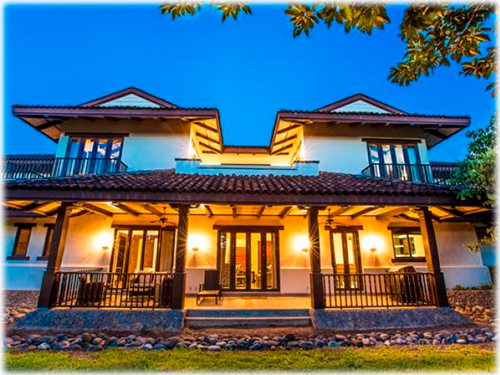 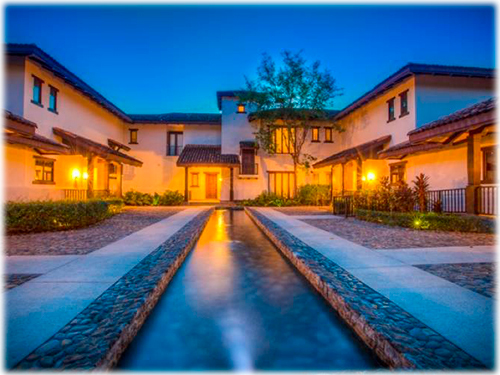 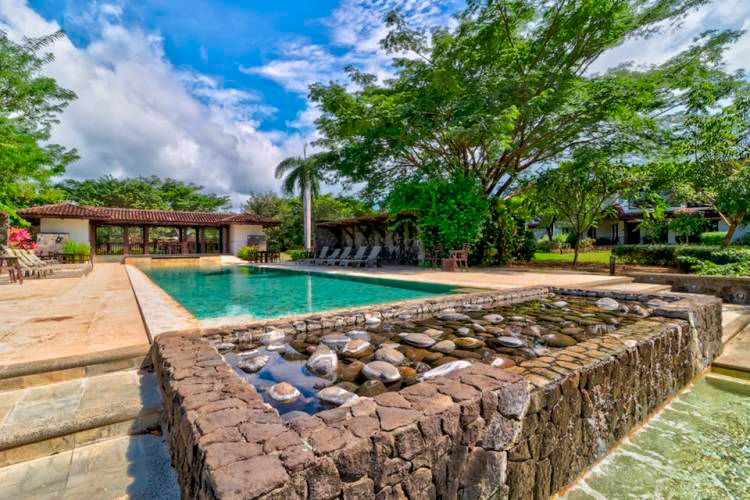 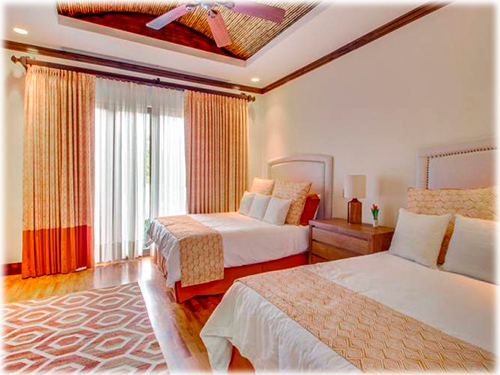 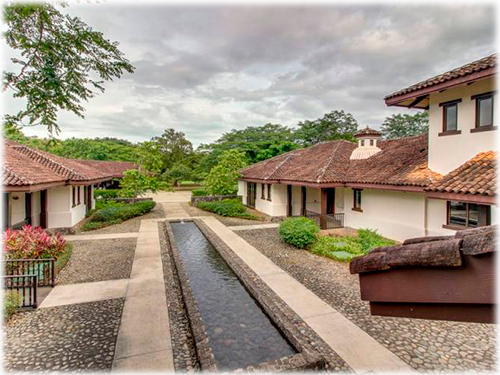 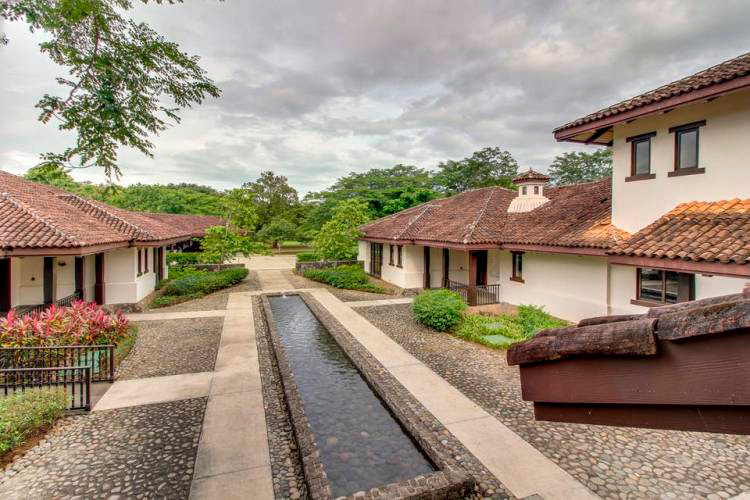 Malinches del Mar Villas are among the most exclusive properties in Hacienda Pinilla. 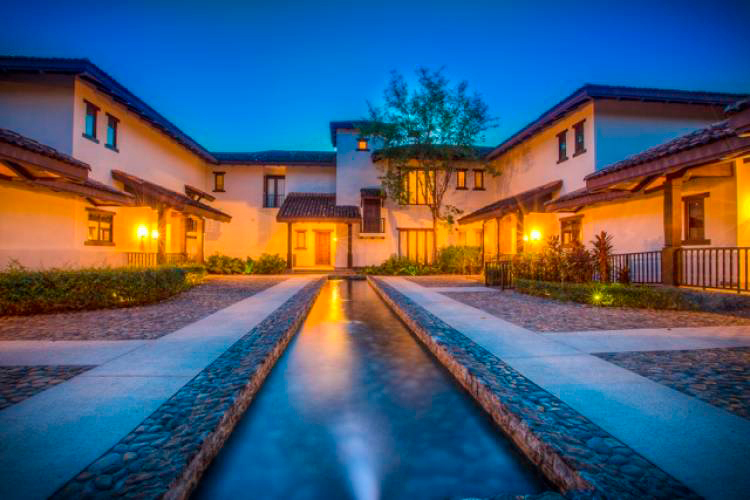 Built in the traditional Spanish Colonial design, this great community includes a colonial chapel, tropical landscaping, and open spaces. In addition, Malinches del Mar offers the Hacienda Club, which includes a fitness room, an infinity edge lap pool, spacious courtyards and covered garages with storage areas. 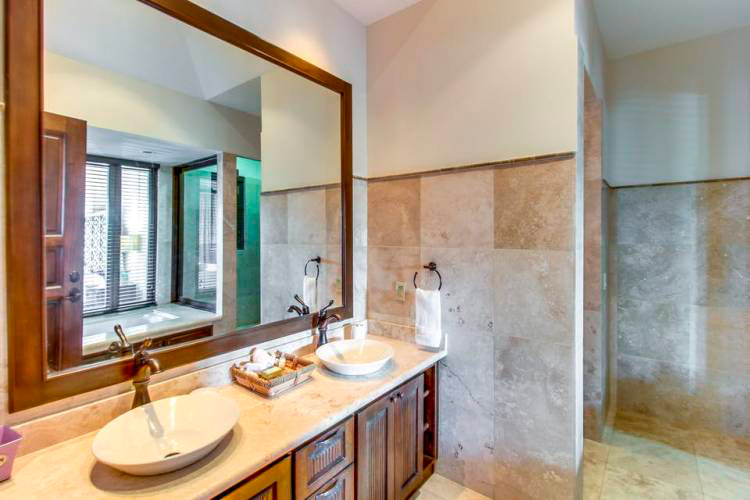 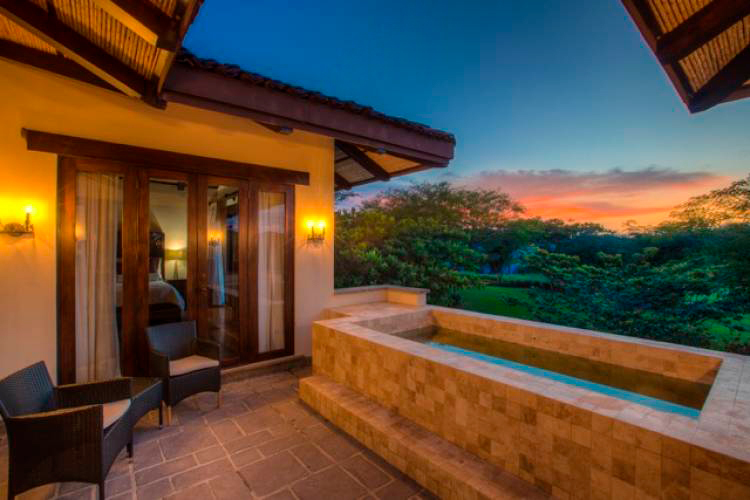 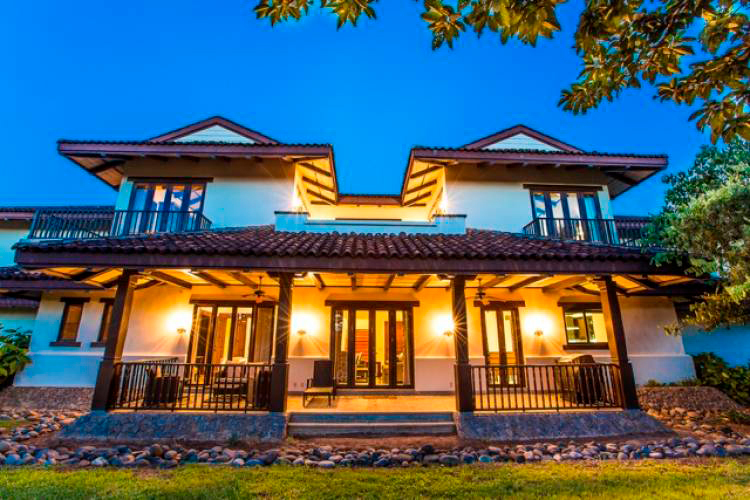 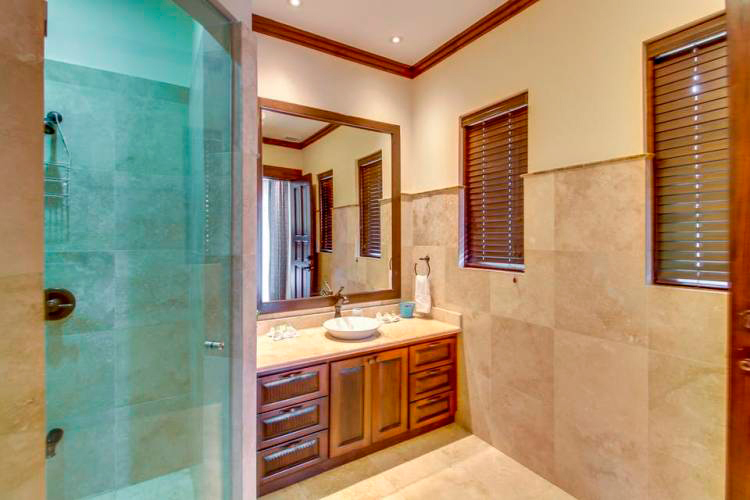 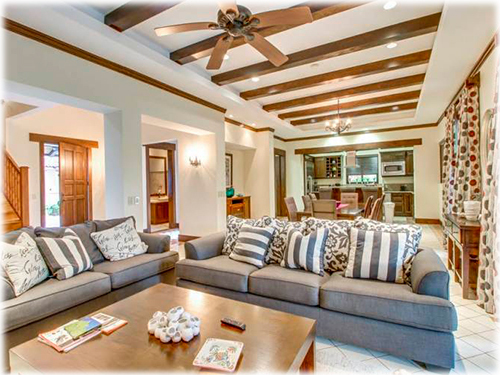 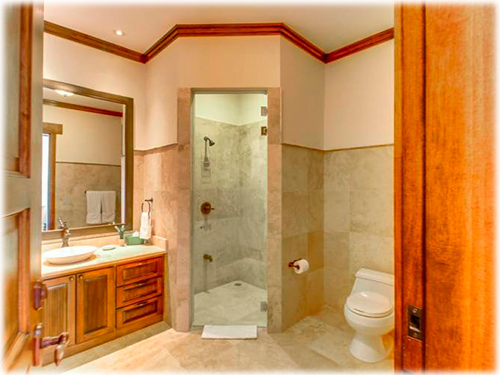 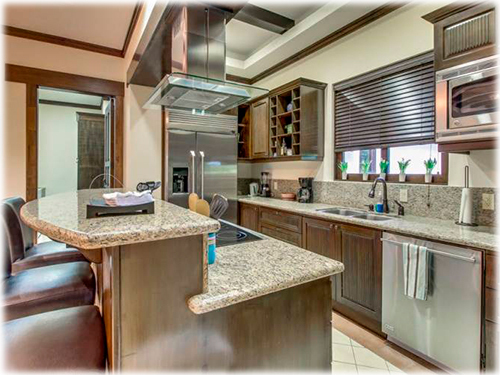 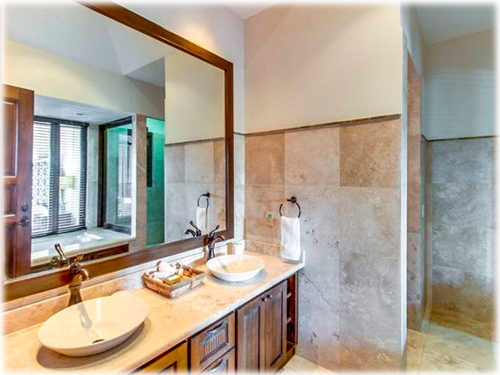 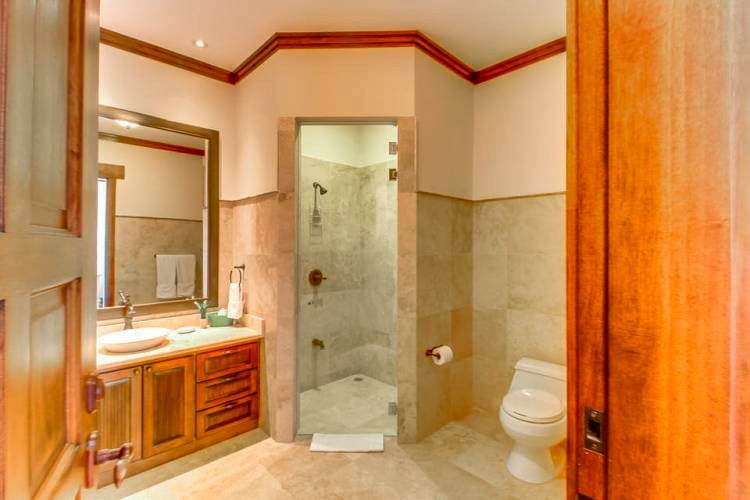 With superior finishes and craftsmanship, Malinches del Mar represents one of the best investments options at Hacienda Pinilla. 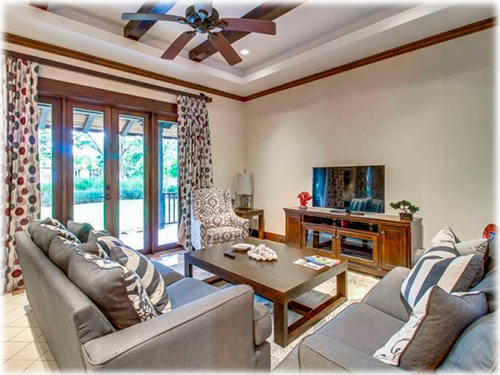 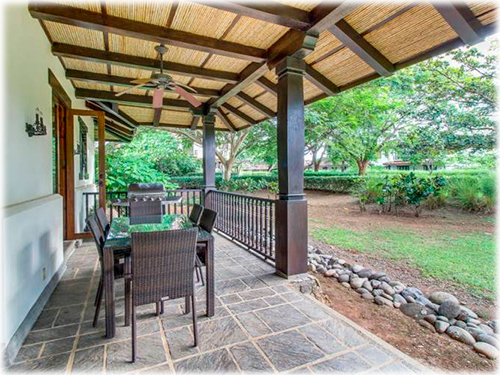 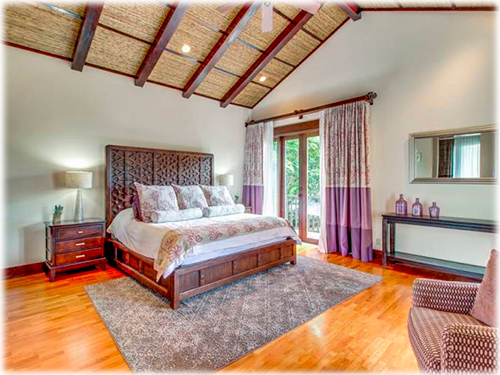 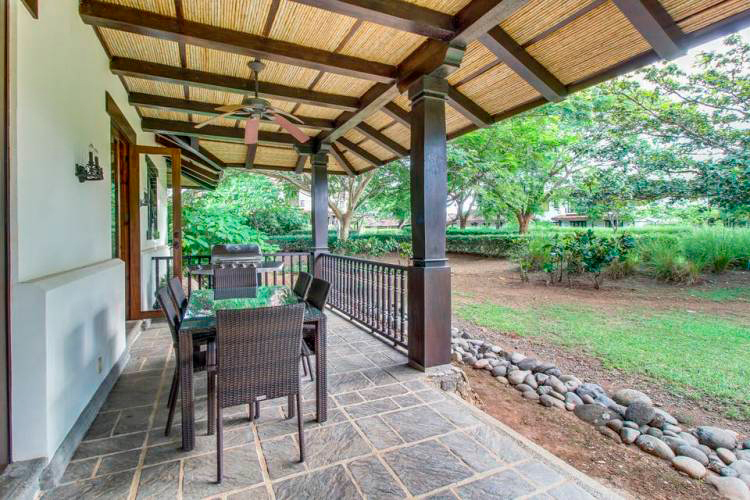 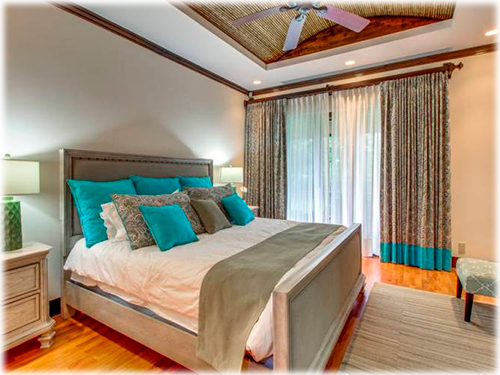 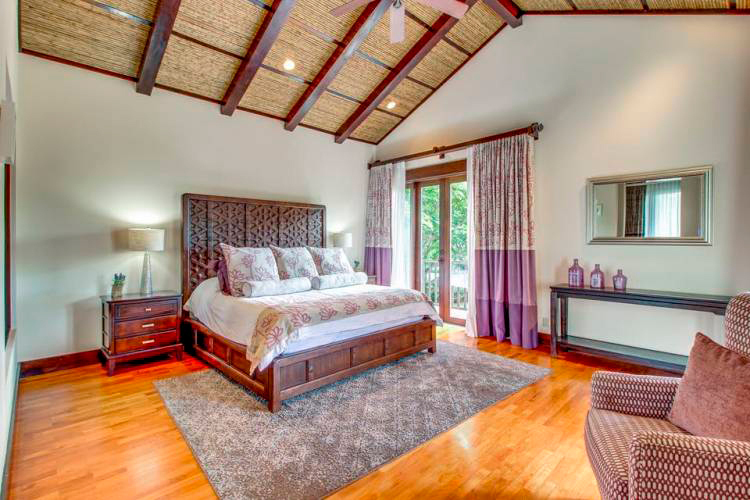 This villa is a two story unit with ample spaces and large windows that fill the former with natural lighting. 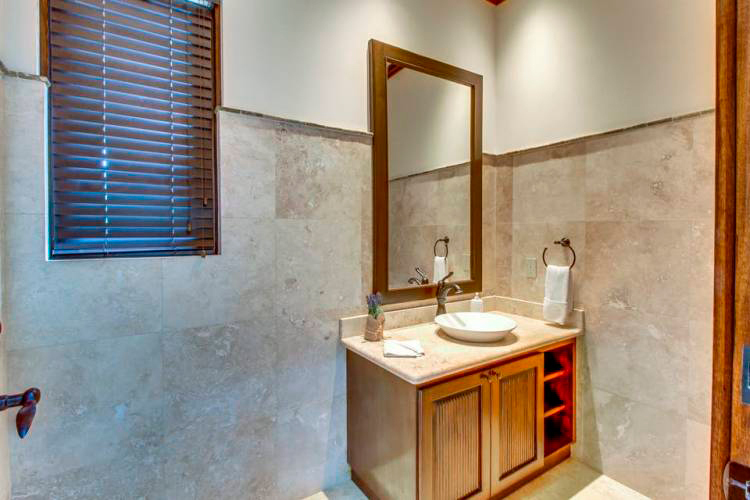 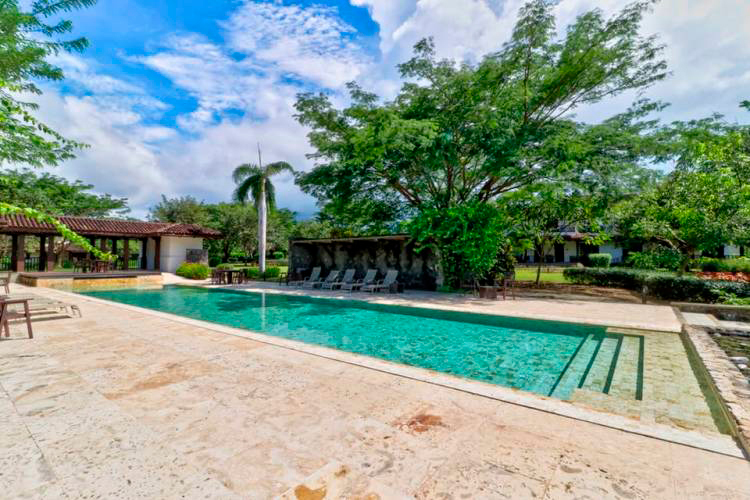 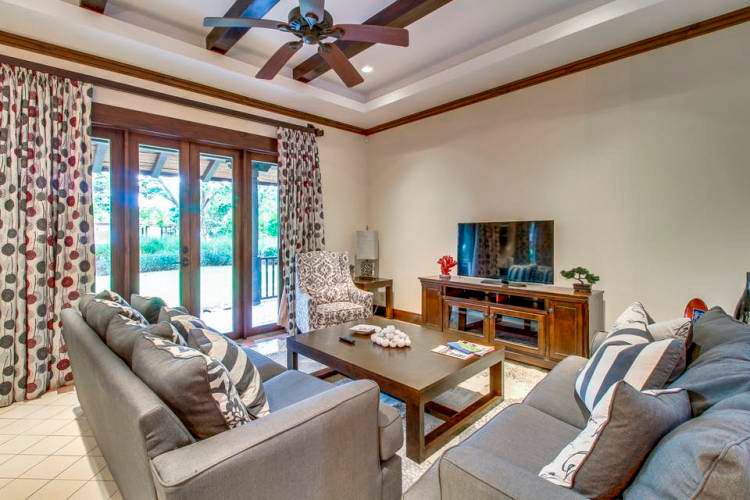 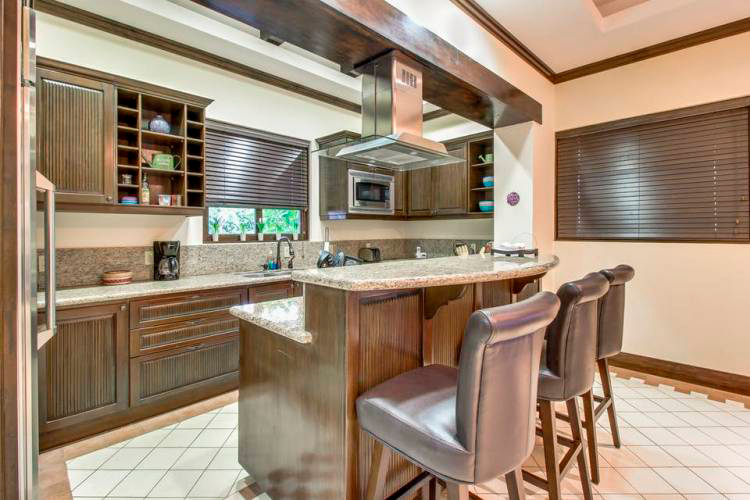 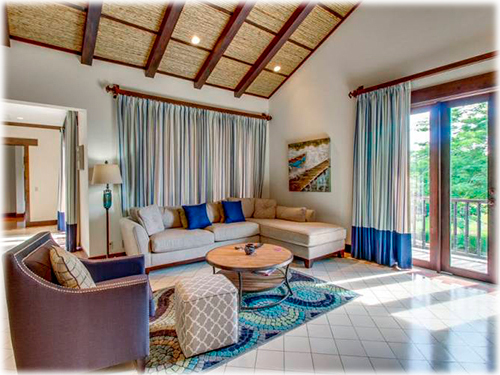 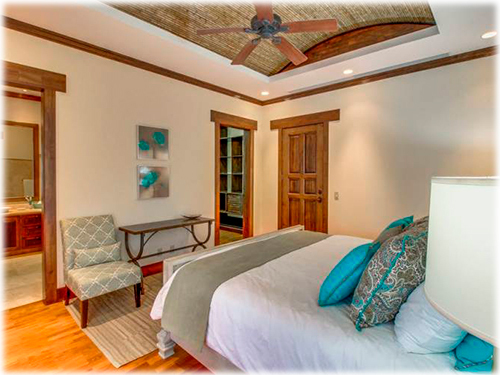 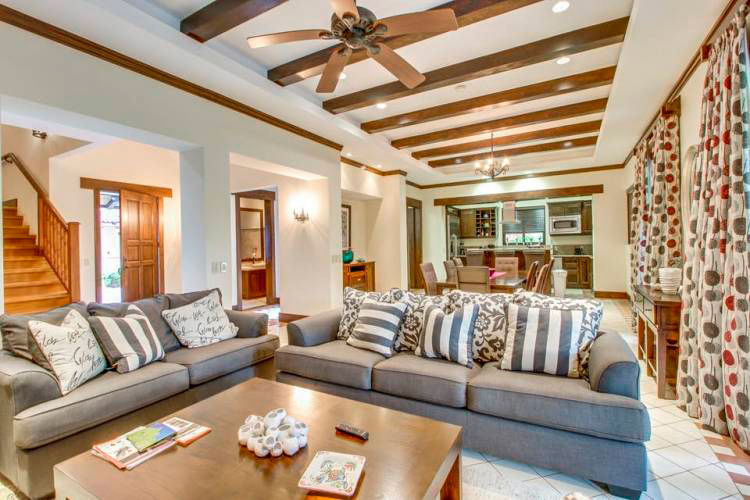 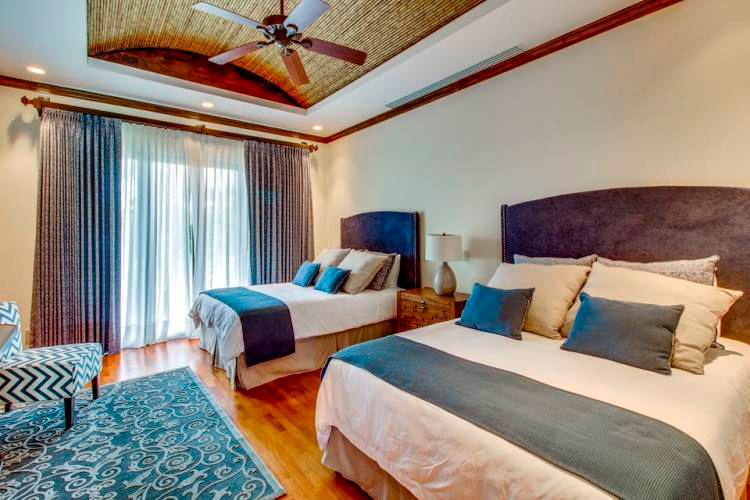 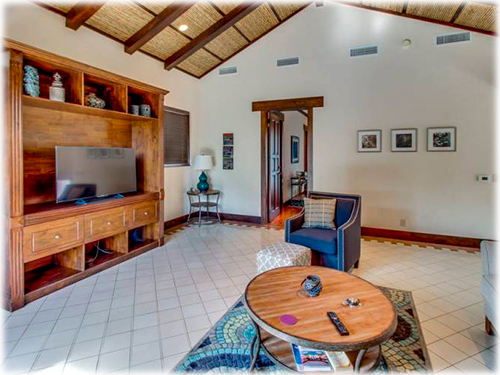 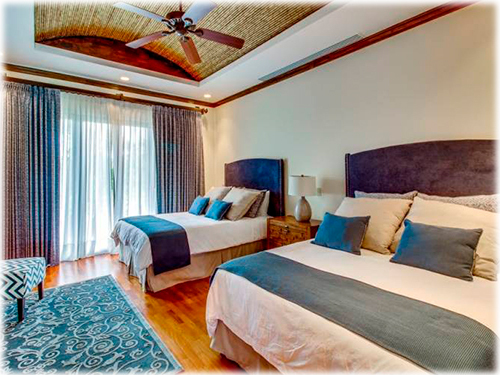 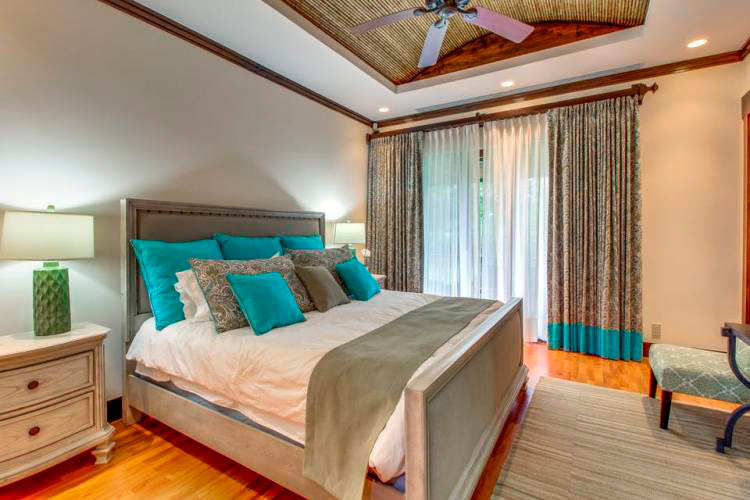 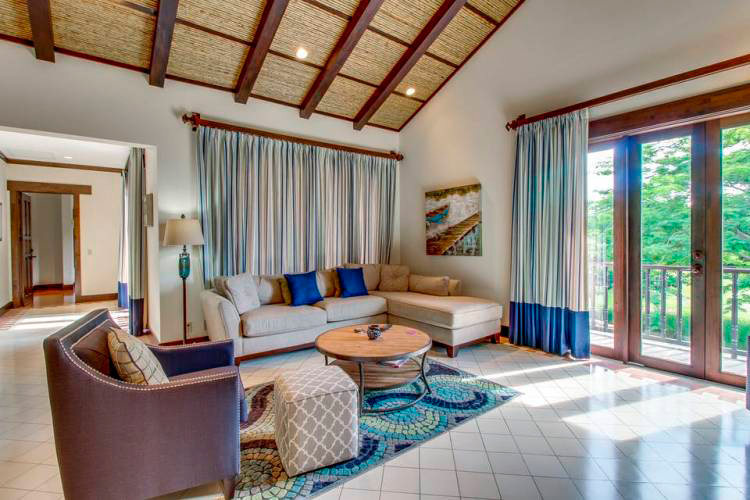 Professionally furnished and decorated, this fantastic Villa offers the best in detailing and finishes, with hand-painted tile floors throughout. 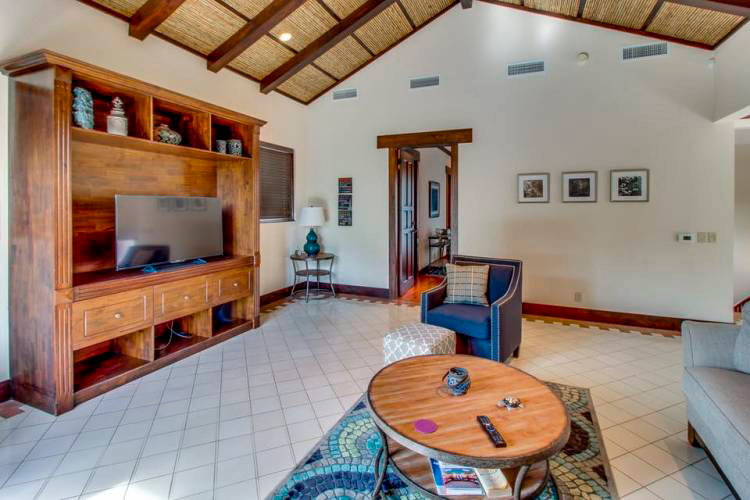 The main hallway leads to a large living room, accentuated by the villa's open concept. 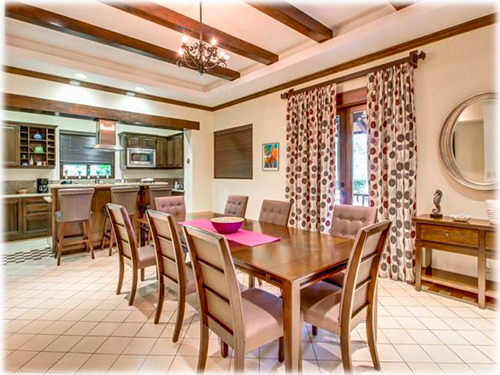 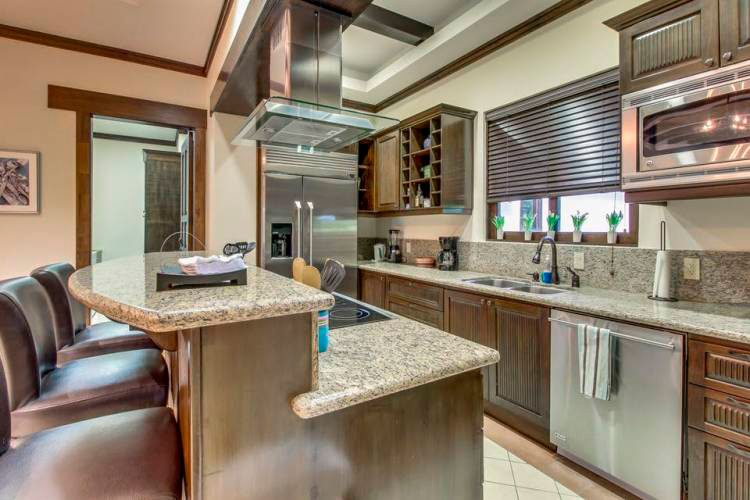 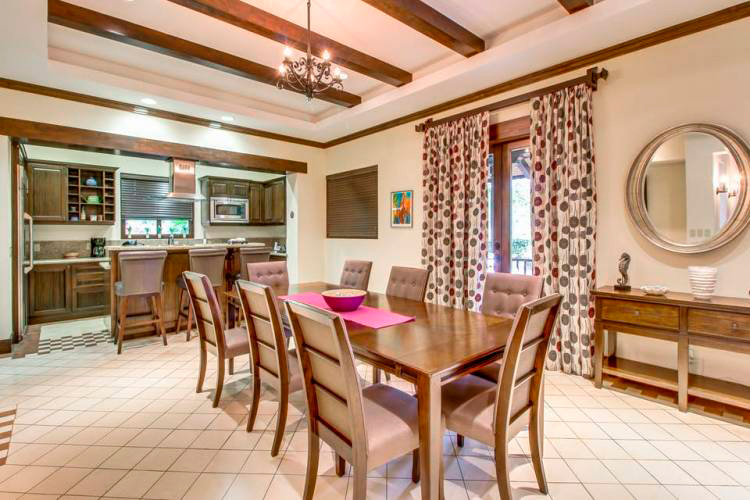 The dining room is equally ample and is adjacent to the state-of-the-art kitchen, built with beautiful granite countertops and hardwood cabinets. 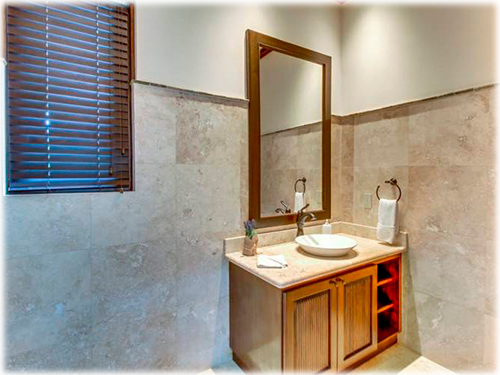 In this area, there is a large pantry, plus a spacious laundry room, and an additional half bath for guests. 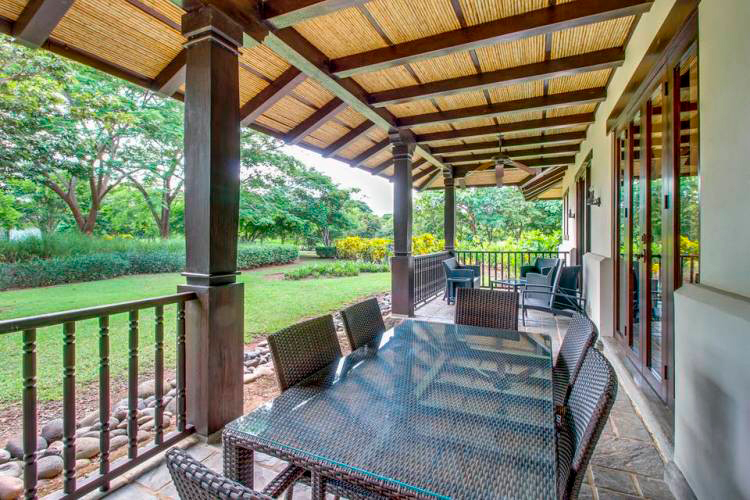 Both the living and dining room count with direct access to a roofed terrace with ample verandas, where additional seating in a second living and dining room can be found, plus a BBQ area. 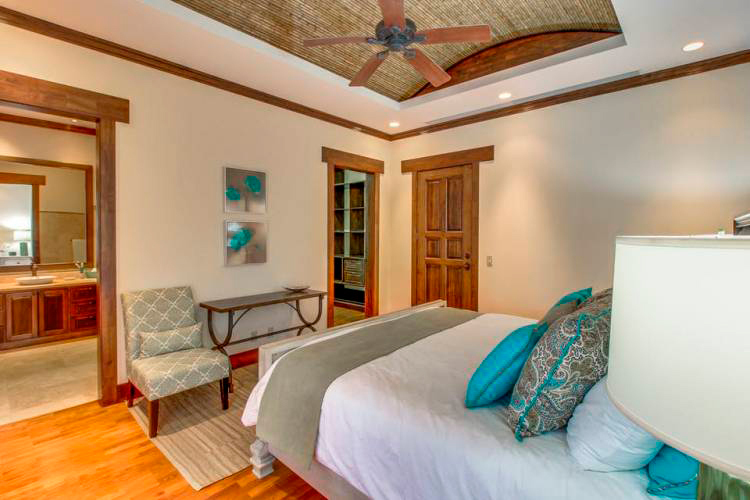 There are 2 spacious guest rooms on the ground floor, with beautiful hardwood flooring, and each of them with a private full bathroom, decorated with veneer walls. 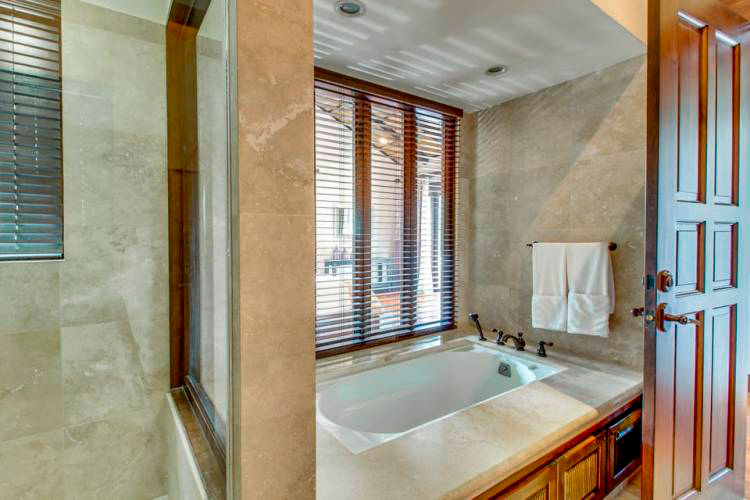 Upstairs, there are two large Master Bedrooms, each with its own walk-in closet, plus a large full bathroom, one of which includes a bathtub. 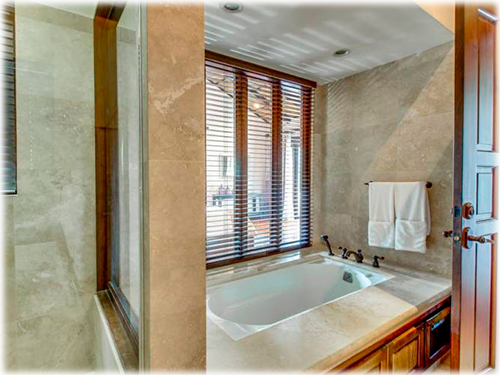 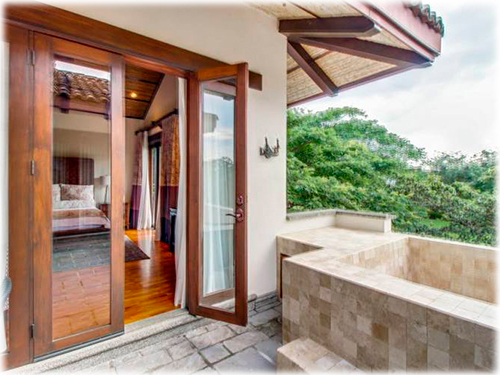 Both of these have access to a second-story terrace, which has a gorgeous Jacuzzi tub, the only villa in the complex with this feature. 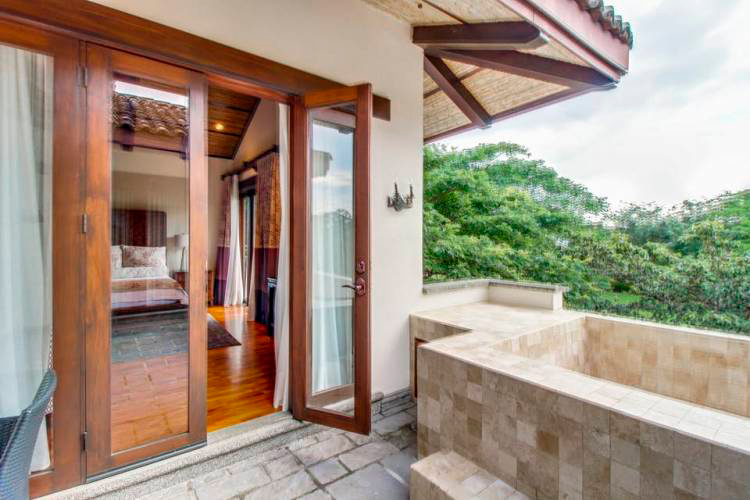 In addition to these spaces, there is a large open family room which overlooks the private backyard, a second unique feature only found at this Villa.